All regular classes racing. Sprintcars, super saloons, saloons, six shooters, productions, youth mini stocks. 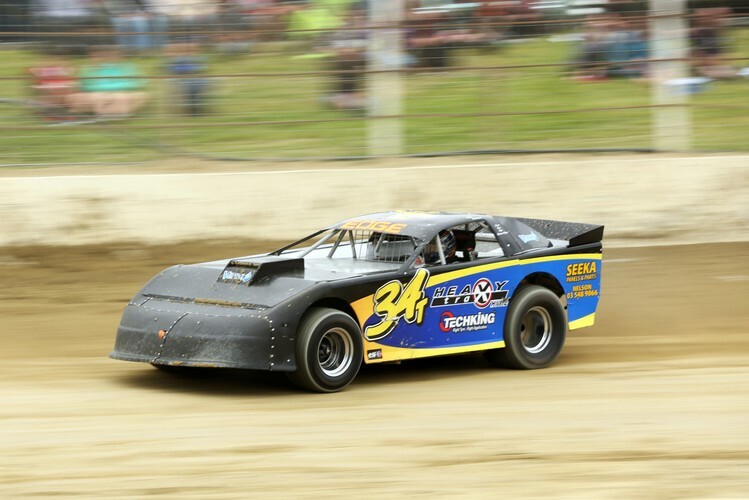 Heavy Trax Central Motor Speedway is where all the action is this summer. To see, hear and smell a rip-roaring start to a full on 2016-17 Season make a beeline to the track on Labour Weekend Saturday. Gates open at 4pm for early birds to park up in their favourite spots on the natural amphitheatre surrounding the 500-metre 'avocado-shape' track. Racing starts at 6pm. After labouring on their race cars over winter, drivers and teams are revved up and ready to put on the fastest family show on earth. Some of the drivers are a little rusty, some are newbies to their class, so be prepared for an action-packed night.